When I use the VisualEditor media search feature and put in specific keywords to find an image that I know exists, my desired image is often buried in the results after several rows of PDFs that aren't relevant to my search (that have no relevant keywords in the title or description), apparently because my search keywords are found in the text of the long PDFs. For example, if I search for "The Marsh San Francisco Valencia" while looking for File:The Marsh, San Francisco.JPG (which includes "Valencia" in its description), that image shows up at the end of the fourth row. The first results are File:U.S. Intelligence Law for American Journalists (Part 1 of 2).pdf, File:Atlas-of-European-history-1909.pdf, File:All the Year Round - Series 1 - Volume 19.pdf, and other long PDF documents that don't have my keywords in the file title or description. When I search for "The Marsh San Francisco Valencia" on Commons, the desired image shows up first, and then the PDFs, which is fine. The same thing happens if I search for "Valencia Tool & Die" while looking for File:974 Valencia St., San Francisco.jpg (which has "Valencia Tool & Die" in its description) - that image shows up in the sixth row, after a few relevant images and many non-relevant PDFs. 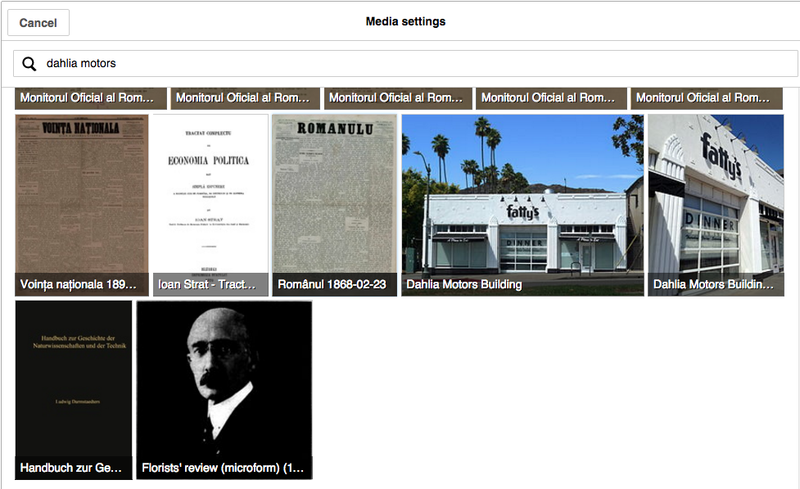 Searching for "Valencia Tool & Die" on Commons is also fine - the relevant images show up before the PDFs. So I imagine this could be adjusted to work better. Dreamyshade raised the priority of this task from to Needs Triage. Dreamyshade added a project: VisualEditor. Dreamyshade added a subscriber: Dreamyshade. Dreamyshade set Security to None. Is this really about default MediaWiki-Search or rather CirrusSearch instead? I recently helped new editors learn how to use VisualEditor at an in-person workshop (funded by an Inspire grant, yay! 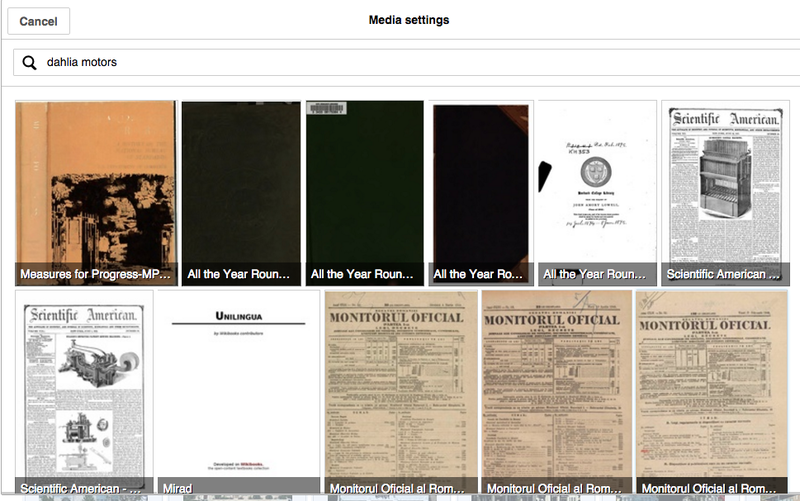 ), and while teaching them how to upload media to Commons and insert it into articles, I needed to explain to them to try looking at the last row of VisualEditor media search results to find their file, which was...sort of confusing. I believe these VisualEditor media search results are often unfortunately backwards, and I'm just noting that I'm still hoping for this to get fixed - I find that new editors are often excited about adding relevant photos from Commons to articles, since it's fun and immediately rewarding, and I would love for them to have a smoother experience. Thanks!